Mexican-style dishes are some of the easiest meals to create with the least amount of money. For a college student on a budget, Mexican meals provide unique and rich flavors that will leave you and your wallet full. 1. Combine all the ingredients into the pot, and let it simmer for 20 to 30 minutes. 2. 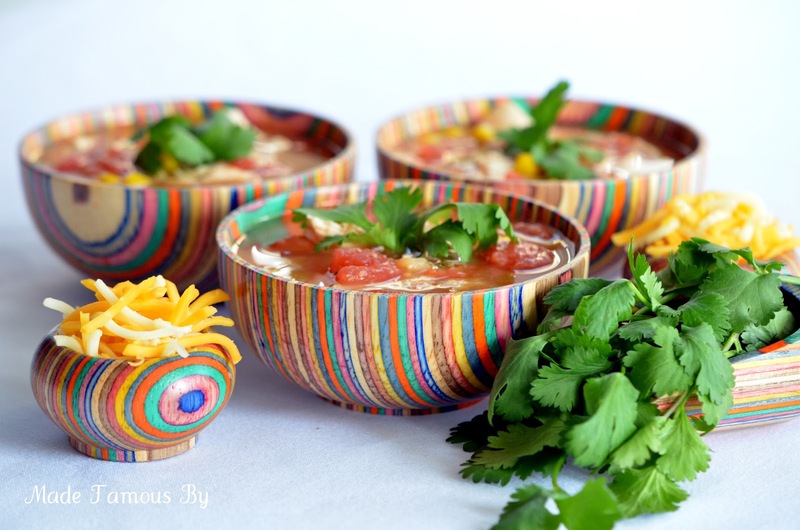 To serve, fill sides of the bowl with baked tortilla chips, and put soup on top of them. Add a scoop of low fat sour cream, and top it with shredded cheddar cheese. 1. Boil the chicken until it’s cooked. 2. Pull the chicken apart or cut it into strips. 3. Mix the sour cream and 1/2 cup shredded cheese together. 4. Heat tortillas for 45 seconds in the microwave. 5. Spoon 1/4 cup of sour cream/cheese mix, 1/4 of the seasoning and 1/4 of chicken onto center of each tortilla. 6. Fold in the two opposing edges of tortilla - 1 inch each, then wrap one unfolded side beyond the middle line; and finally, bring the last unfolded side over top of the other three folds. 7. Put the folded side down in frying pan with heated (med/med-hi) 1-inch deep oil. 8. Let brown for 5 minutes, then turn over and brown other side for 5 minutes. 9. Put it into a 400º oven for around 5 minutes, then sprinkle the remaining cheese on top of each and let it melt (about 5 minutes). 1. 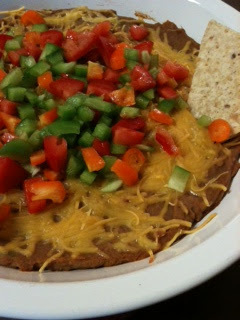 Layer the can of refried beans on the bottom of 13 x 9 serving dish. 2. Top it with a layer of Hormel chili. 3. Mix the mayo, sour cream and taco seasoning together, and layer it on top of the chili. 4. 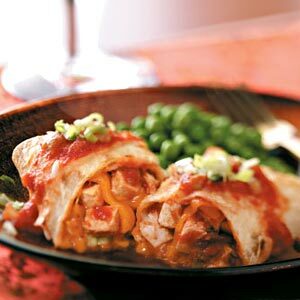 Layer it with shredded cheese, followed by tomatoes and green onions. 5. Chill it until it’s ready to serve. It’ll go great with tortilla chips, pita chips or crackers! Bring the authentic food of Mexico to your place by cooking up some of these Mexican-style dishes!